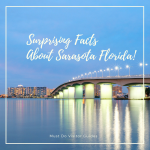 One thing you will certainly appreciate when living or visiting Southwest Florida is an insulated drinking cup to keep cold drinks chilled, whether you are spending the day at the beach, driving in the car, boating or just relaxing by the pool. 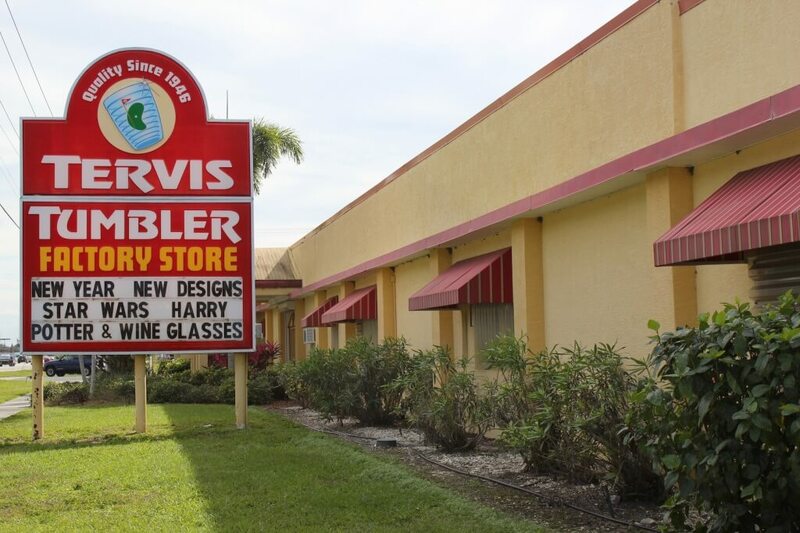 Tervis is a local Florida company that understands the need for high-quality drinkware. 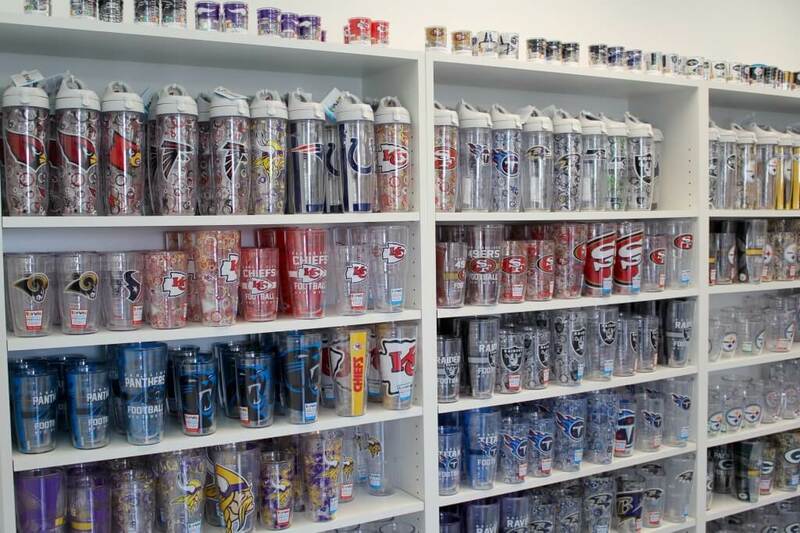 The factory has been producing Tervis tumblers in Osprey for almost 70 years and is an important local employer. The name “Tervis” comes from combining the last three letters of the surnames of the inventors – Frank Cotter and G. Howlett Davis. 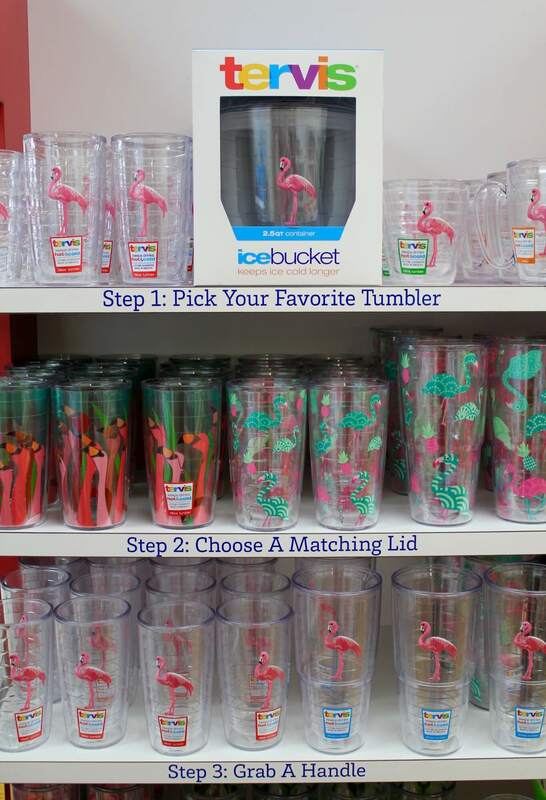 You can buy these fun drink containers direct from the local Tervis stores on S. Tamiami Trail in Osprey, or from their St Armands store. 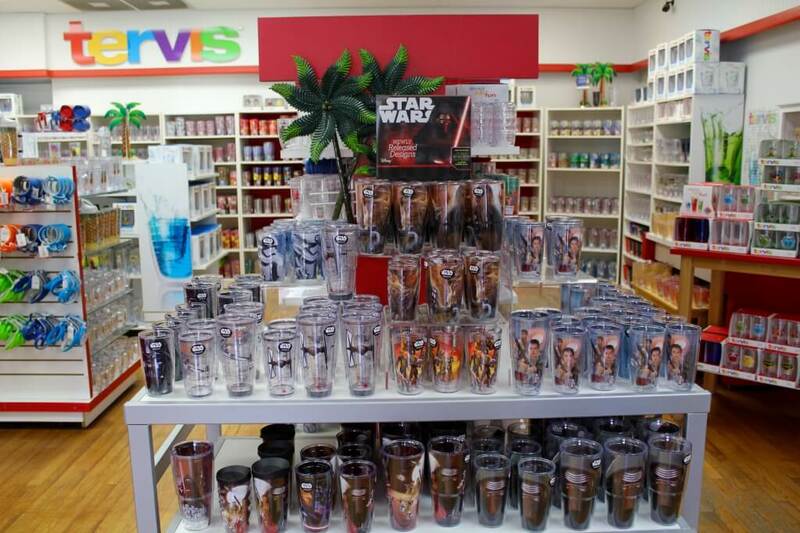 Tervis has 41 stores throughout the US, can be purchased from Tervis.com or from over 10,000 retailers nationwide. 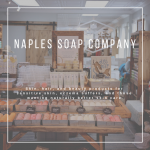 Their products are all made in the USA and come with a Made for Life™ guarantee. Most importantly they are free from harmful chemicals such as Bisphenol A (BPA). Hot and Cold, Large and Small! All their tumblers are double insulated and dishwasher safe. It’s like having your own armor-protected cooler for drinks! Of course if you have a hot drink or soup, Tervis tumblers are just as efficient at keeping hot things hot! The double wall insulation creates a layer of air between the contents and the outside air which reduces annoying condensation and puddles of water that other drinks containers create. Tervis tumblers come in a variety of sizes from a neat 8 oz. stout container to a thirst-quenching 24 oz. tumbler that will stay cool all day. 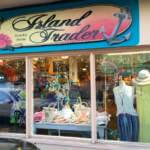 Other sizes include the 10 oz. wavy tumbler, the 12 oz. tumbler, 15 oz. mug and 16 oz. tumbler, goblets, a water bottle, sippy cup and the new Tervis wine glass. You’ll find their ice bucket especially useful when entertaining on a hot afternoon. 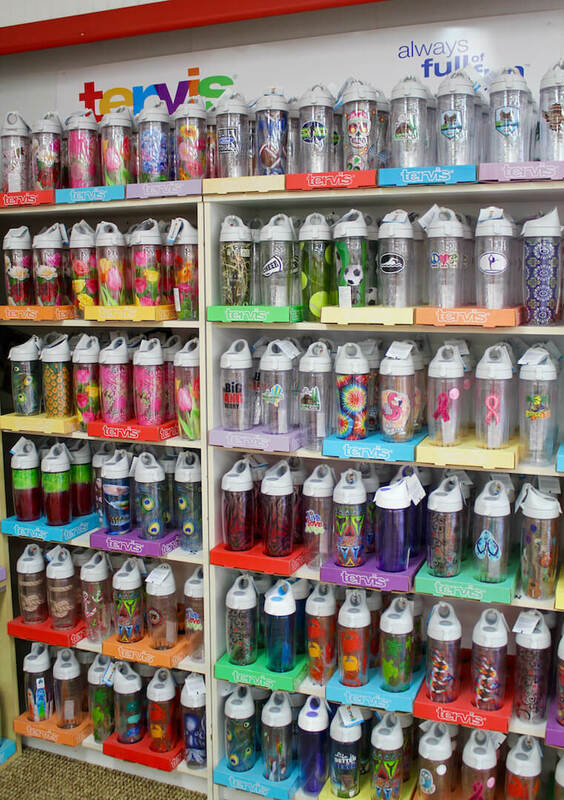 Tervis drinkware has a huge lineup of designs so you can match your own tumbler to your personality or favorite color preference. 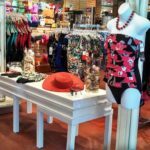 You may want a tranquil palm tree design or a fun goldfish appearing to swim in your drink. 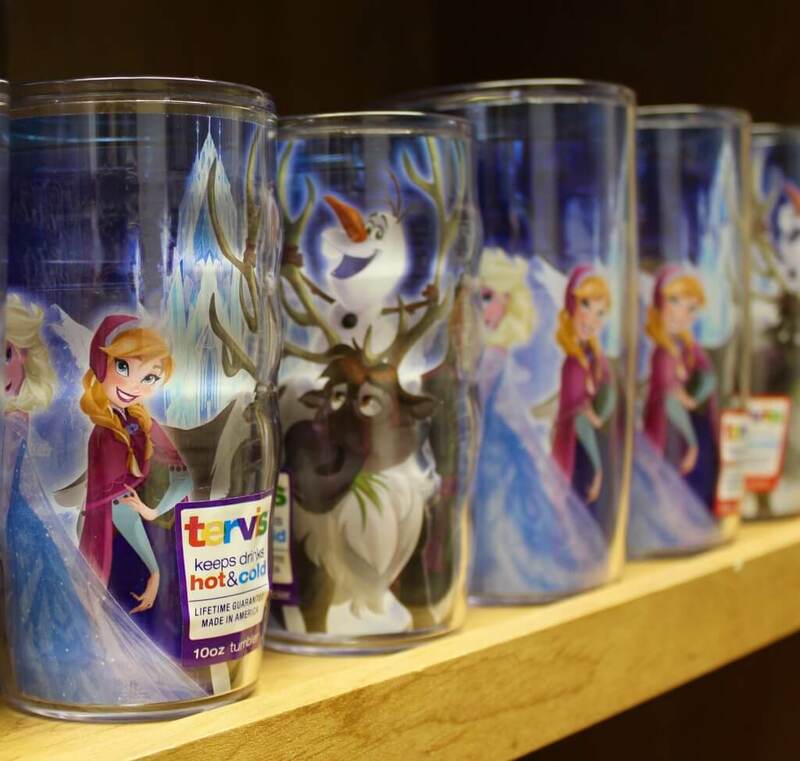 Youngsters may prefer their favorite Disney, Star Wars or Harry Potter character, dinosaurs, surfboards or perhaps their favorite sports team decorating their Tervis mug. 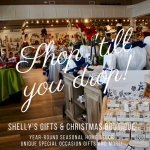 You’ll certainly be spoiled for choice and of course, they make great gifts! Once you’ve bought your first tumbler you will wonder how you ever managed without one. However, you can easily add some useful accessories to make it even more useful. Add a handle (open or closed design), lid and straw in a range of colors to complement your Tervis drinkware. Add a travel lid with a slider open-close feature to keep your drinks firmly sealed even if they tip over in a bag during travel. Turn your Tervis into a reusable water bottle with a clever water bottle lid. Those who love protein shakes and smoothies can add a shaker top which includes a jigger, strainer, and pourer. 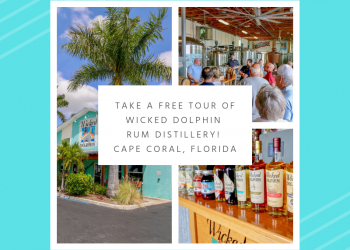 You can even have your cocktail on the go if you choose! 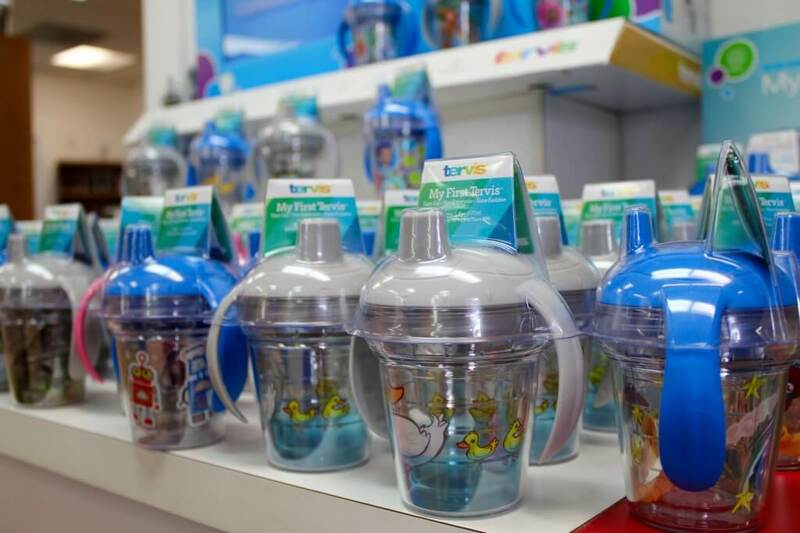 Kids will love the new Tervis sippy cups and lids with straws – either straight or bendy to make drinking juice easy and fun. 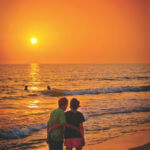 Whatever your lifestyle you’ll find there’s a Tervis product that’s perfect for you. Plus, they come with a lifetime guarantee! 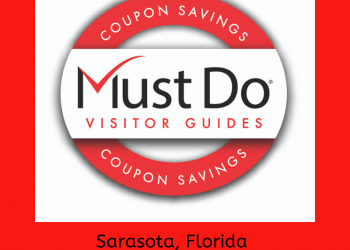 Save on your purchase at the Tervis store in Osprey, on St. Armands Circle, or in Fort Myers with a coupon from Must Do Visitor Guides!